Buy Raft City Radio a Coffee. ko-fi.com/raftcityradio - Ko-fi ❤️ Where creators get paid by fans, with a 'Buy Me a Coffee' button. We are a podcast for Callisto 6, Geek and Sundry's new cyberpunk superhero RPG! New episodes every week, discussion and bad puns guaranteed. Secured Payments. Support goes to Raft City Radio's account. 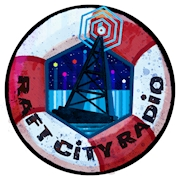 Upgrade Raft City Radio to a yearly Gold Membership with a one-time payment.